Exciting events are happening at the Burne Davis house. We are beginning house renovations and the construction permits were just approved by our town. After months and months of planning now comes the fun part – shopping! 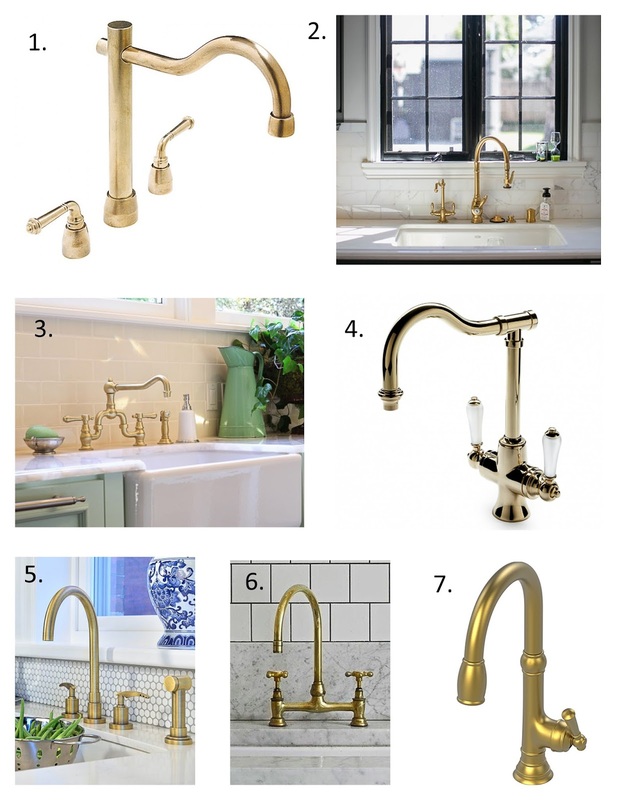 Taking direction from my contractor, rough-in plumbing fixtures are the first items we need. The toilets and sinks were super easy for me to pick. The kitchen faucet, on the other hand, turned out to be quite a challenge. After living in our house for almost 11 years, I knew I wanted a change from stainless steel and brushed nickel fixtures. Every picture I clipped or pinned featured soft satin brass as the primary metal. 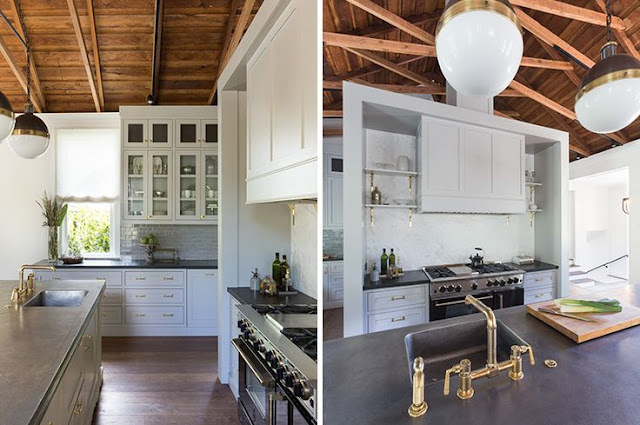 Take a look how this kitchen is so warm and inviting. My first stop whenever I make major purchases is to scour the web for reviews and pricing. I was shocked when I realized that none of the big box stores offered satin brass finishes. Feeling uneasy without my ability to price compare, I set out to the local plumbing supply stores. I first visited a small privately-owned showroom. The salesperson was lovely and helpful with the generic fixtures. When we got to the kitchen faucet and I mentioned satin brass, she gave an uncontrollable eye roll. My next outing took me to an urban family-owned store that had been in business for ages. Again, the salesperson was fabulously helpful with the basic items. Then we got to the topic of satin brass. This special order finish was unfamiliar to her so she needed to get catalogs from a colleague in the attempt to help me. When she borrowed the material from an older man's desk, he gruffly and loudly exclaimed "brass is out of style." He said this each time she pulled a new catalog. I had no idea that brass could elicit such strong reactions, especially since it seems to be featured everywhere. Clearly this salesman wasn't keeping up with his issues of Elle Decor! Finally my third stop was successful. The showroom was actually recommended on a local Facebook moms group. As soon as I walked in, I knew it was the place for me. Not only was the store huge but they actually had a few satin brass fixtures on display!!!! Now I just need to figure out which one to choose! While I adore the idea of a bridge faucet, function may take precedence over form. I think a pull-down will be much more practical. Here are some of my favorites.